First thing this Monday I’m on the phone doing business with Verizon. 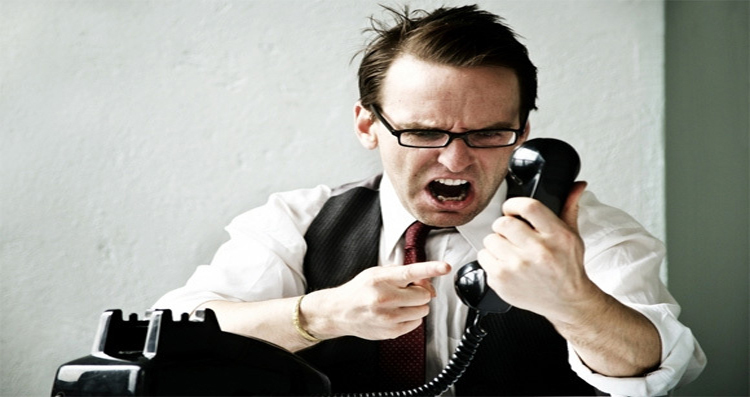 While they “experience heavier than normal call volume,” I decide to tap out My 500 Words. At first I think this might be about speed (mine, not theirs!). I’m not often fast to spill words on the page. Perhaps it would be fun to see if I can get to my mark before someone picks up to assist me. I grinned. If only they knew, they wouldn’t be so quick to thank me. I’m not always patient, and calling me such doesn’t make me so. I wish it did. Last night at Walmart, for example, the cashier commented on every item I took out of my cart. I wasn’t in a bad mood. I smiled and acknowledged her, I just didn’t feel like small talk, and I don’t do fake response. I’m kind-hearted and generally sweet to people I meet. But after the fourth or fifth item, my warm eyes went cold. I wanted to shout, “Stop trying so hard to be nice to me! Just be yourself!” Smile, be courteous, but please, give me some space. Notice that last sentence isn’t in quotes. I don’t have the guts to admit I said that, even to myself! But those are the words I really meant. Those are the words I didn’t shout. Those are the words I whispered. Those are the words that represented what I really needed, honestly wanted. Her awkward effort to engage me simply squeezed out any room for genuine interaction. How often do my impatient, awkward efforts to engage (or be engaged) affect others in the same way? Shut down the opportunity for genuine interaction? As I sought the Lord on this whole issue, He opened Himself up and loved me. The me who desires to see people, and who wants to be seen. The two sometimes collide. That’s when impatience rises up for me. Impatience sometimes erects a wall against vulnerability and stands between my flesh and spirit. It wiggles its way into the cracks and crevices of my battle-worn armor and hints at superiority. SPIT! BLECH! SPEW! Impatience does NOT become me. It steals the underlying beauty of grace. Now, contrast this impatient perspective with my experience at the bank this morning, after I started writing this piece giving consideration to patience. I stepped into line at 12:05. Still in line at 12:20 (and not yet at the front, though only 3-4 people were in front of me), I stepped into the gift of waiting and began to take notice of the interactions around me. These people aren’t just doing banking, they’re doing life. One of the tellers had come out from behind the counter to engage with an elderly woman, hard of hearing, and having difficulty. The person she “always talked to when she needed help had just disappeared.” Now she’s left feeling insecure and unwanted. The woman went on to repeat her issue (for the third time). The teller stood, engaged and attentive, even leaning in. Her patience and service warmed me. She opened my heart toward kindness. This is a picture of why I go to the credit union, and not to the conglomerate bank around the corner. Personal service, patient and accommodating. Last night, I might have said, “WHO CARES?” But today? I’m remembering and celebrating the wonder of grace. Grace expressed in light of patience, daring to be present to the people around me. My turn finally came as the clock inched toward 12:30. This isn’t “fast food banking”! As I stepped to the counter, I recognized a winded, but smiling teller, the very young woman who had been in the lobby with the elderly woman when I came in. She’s the real deal. The teller’s shy smile indicated that she received life from my words of encouragement. Come to think of it, so did I. Perhaps speaking patience aloud calls into life an awareness to live it out loud. Perhaps. And if I respond from the position of grace — being patient and kind, seeing the straggling soul, the clamoring spirit — maybe, just maybe, the rigid lines of life around me will soften to receive the gift that is grace. As a prisoner of the Lord, then, I urge you to live a life worthy of the calling you have received. Be completely humble and gentle; be patient, bearing with one another in love. Make every effort to keep the unity of the Spirit through the bond of peace. 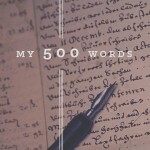 Thanks for reading and encouraging me as I take up the My 500 Words challenge to write every day. I’m glad you’re here. If this post affected you, leave a comment or hit the share button. This daily practice isn’t just about throwing something “on the paper” for me, but recognizing what it looks like to show up and write, even when I’m not sure what I want to say. I’ve given myself permission to rest when I needed rest, but I’ve also pushed myself to write when I wanted to sleep. I’ve written every day since the beginning, whether a full post or partial, for myself or for a client. Some of you have joined me. Thank you for reading and encouraging each other and for giving us all a picture of your life-giving spirit. We really are better together. Love this! I’m not always patient but God is really working on this with me and I’m trying to become more aware of the “reason” for the situation. Your words captivate me…they make me stop, think and read and want more! Be encouraged…I do want more! God is just so good to us! This post speaks straight to my heart. I struggle with patience quite often but this really has made me stop, take a deep breath and live in the moment God brought to me, for all it may offer, instead of being in such a hurry. Thank you for this gift. It’s so true that the words come to encourage others, but end up lifting our own spirits. Somehow, the Lord uses that humble effort, to speak His words!